July, 2009 | Where is Joe.in? 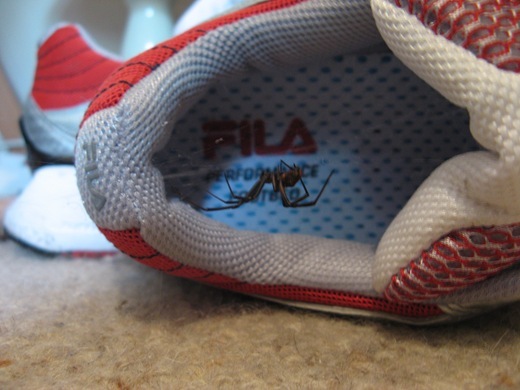 Upon returning from Port Hedland I found the following Redback spider relaxing in its web and guarding its new home, my Fila running shoes. Needless to write, this poisonous spider did not live much longer. 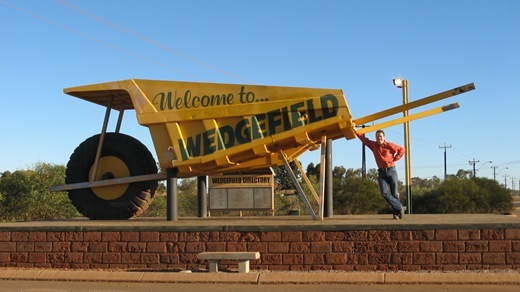 On the weekend I returned to Perth exhausted after 12 days of intense work costing a road construction project in Port Hedland. 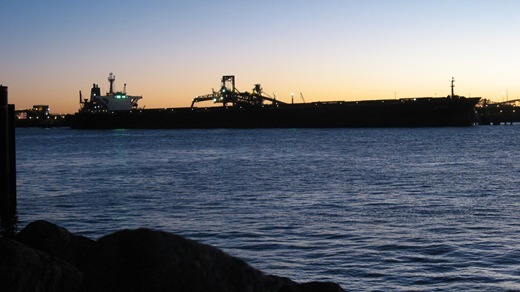 This was my first visit to Port Hedland, the main town in Western Australia’s Pilbara and Australia’s highest tonnage port. 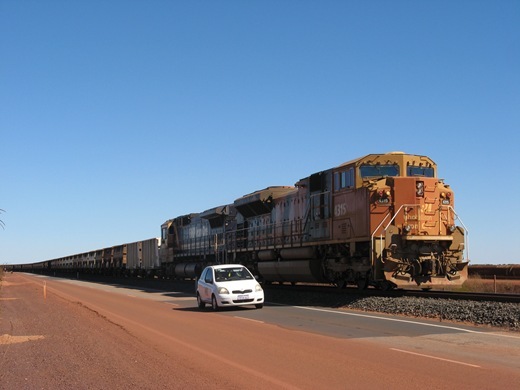 BHP Billiton, the world’s largest mining company and newcomer Fortescue Metals Group transport iron ore on massive 2 km+ long trains to Port Hedland to be shipped to Asia and the world. 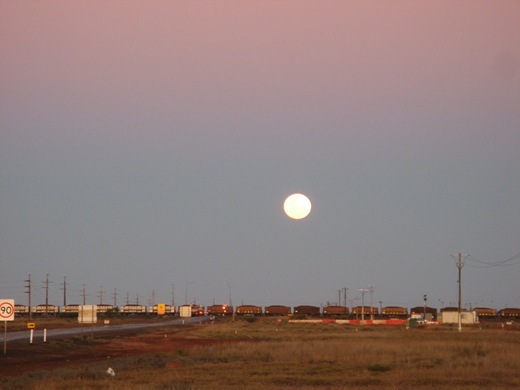 I was originally going to stay for 3 days but the trip duration was extended twice. 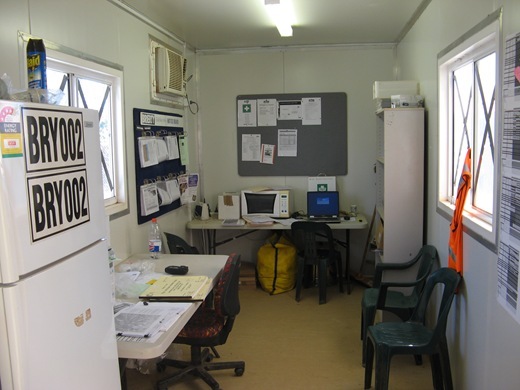 I stayed in a donga (transportable building) in Camp Kooyong close to the airport, waking up at at 5:15 am in order to start work at 6:30. 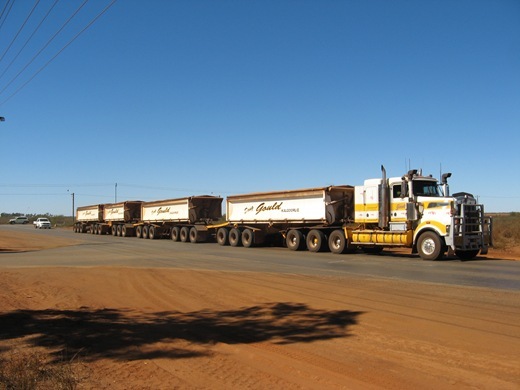 Camp Kooyong was full of FIFO contractors, working long hours away from home. It was easy to see why so many contractors had beer bellies. Good food is served up buffet-style every day and there is no limit to how much can be eaten. 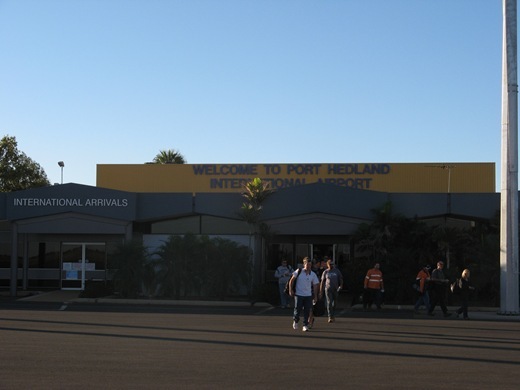 Port Hedland “International” Airport, has 1 flight per week to and from Bali, Indonesia but multiple flights daily to Perth. One can tell it is a contracting town as the airport security scanning area has seats reserved for taking off steel-cap boots!